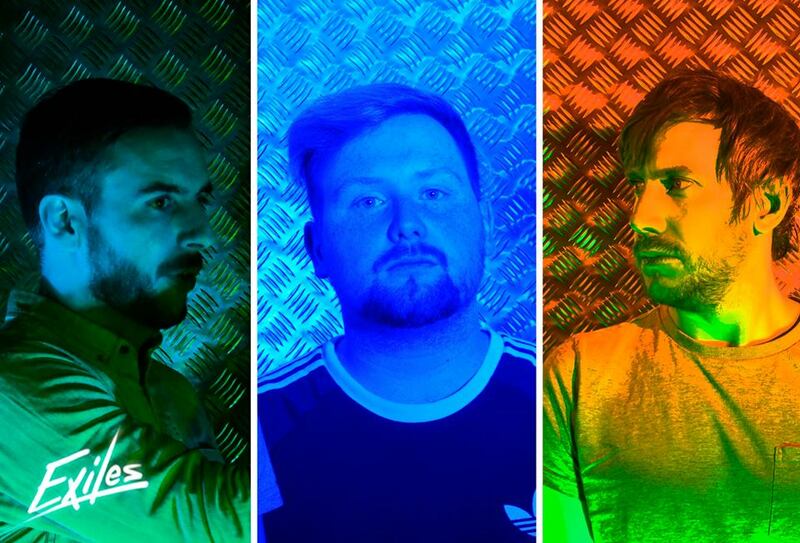 Driven by a passion for all things 80s, ranging from legwarmers to synth-heavy beats, Irish trio Exiles are bringing it all back with a modern twist. Comprised of producer-musicians Darragh O’Connor (Guitar/Synths), Johnny Smee (Keys/Electronic Drums) and Jack O’Flaherty (Vocals/Guitar), this south-east trio have a expansive and impressive range of influences, including Hall & Oates, Tears for Fears and the soundtrack to Lethal Weapon, right through to St. Lucia, All Tvvins and the soundtrack to Lethal Weapon 2. The sheer number of mentions for Lethal Weapon should be enough of an indication of their love for 80s music and shoulder pads. However, they’ve managed to effectively curate their sound to reflect the charmingly excessive element of the 80s, each riff is bigger than the next and the pulsating electronica has a perfectly alluring quality to it, because, lets face it, everyone loves a good throwback. With the Midas-like touch of producer Ross Fortune (Vann Music, Benny Smiles), the band began curating their debut EP, Red Lights, which was released in September of 2016. Fortune, whose expertise were all too familiar with the over-the-top excesses of the 80s and its synthscapes that capture the excesses of the time proved to be a cornerstone in helping Exiles curate an EP with a perfect narrative arc. The EP proved to be an immense success, perpetuating an almost tropical-pop feel to it; it was effectively the musical version of a night-time cruise through the palm trees and neon lights of Ocean Drive. The band have been performing throughout Ireland this Summer, as well as providing support to the equally excellent Tanjier as they released ‘YU’ in Whelan’s earlier in June. They’ve recently done a mash-up with Nina (mashing up Nina’s ‘One of Us’ with ‘Autopilot’ ) to create an unarguably infectious track- the perfect tune for a Bank Holiday Monday.